Letter VII. If you are LDS (Mormon) and haven't read Oliver Cowdery's Letter VII, you need to read it during 2018 to understand Church history and the Book of Mormon. This blog discusses the role the letter has played in our understanding of Church history. Whatever Happened to the Golden Plates? For the last few months, I have been speaking a lot about about the "two-sets-of-plates" scenario. It's an easy concept, but because it is a new paradigm in Church history (so far as I know), I did a lot of research and analysis and discussed it with knowledgeable people as a sanity check. Right now, this is my favorite topic because it answers so many questions about Church history. I started with 1842 Nauvoo (The Lost City of Zarahemla, Brought to Light). 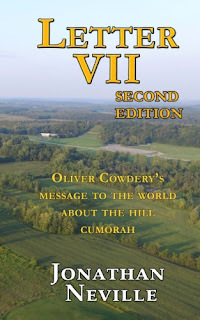 Then I looked at 1835 Kirtland (Letter VII: Oliver Cowdery's Message to the World about the Hill Cumorah). Now I've gone all the way back to 1829 Harmony and Fayette. A lot of people have been asking about it and I can't answer individual questions due to time constraints. That's why I wrote the book. 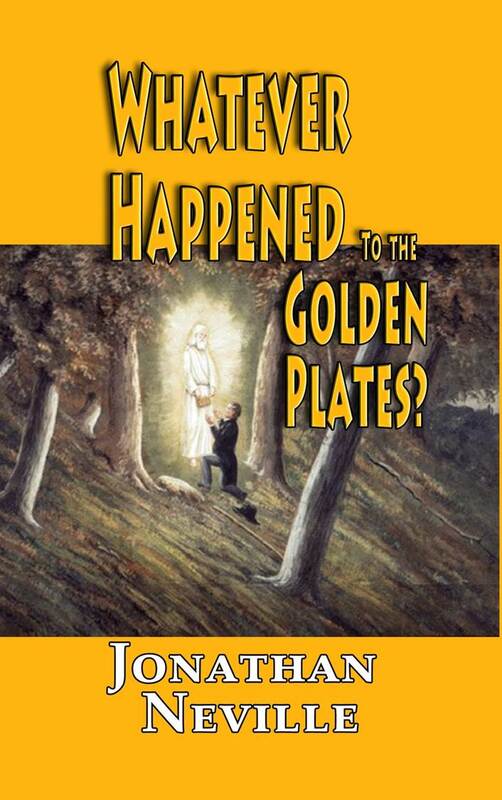 Whatever Happened to the Golden Plates? is about 200 pages long in the 5 x 8 format that most people seem to like. The book includes 107 footnotes. I've reduced footnotes and details in printed versions to keep page counts and prices low, but more material is available to readers online as explained in the book. You can go on Amazon and read sample pages, here. The sample includes the Introduction, which explains why I wrote the book. I wrote this book to share what I consider an exciting new development in Church history. 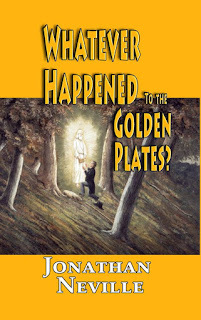 It has always been assumed that Joseph Smith translated one set of plates—the ones he got from the box in the Hill Cumorah. But my research suggests that there were in fact two sets: one set containing abridgments by Mormon (Lehi—the lost 116 pages—and Mosiah through Mormon 7) and Moroni (Mormon 8 through Moroni 10), which Joseph translated in Harmony, Pennsylvania, and the other set containing the small plates of Nephi (1Nephi to Words of Mormon), which Joseph translated in Fayette, New York. If true, this insight may reconcile details of Church history that seem out of place, random, or just strange. Chapter one tells you everything you need to know--except all the details. This concept is so obvious to me now that it’s difficult to remember thinking he translated only one set. And yet, the one-set interpretation of Church history has been taken for granted for decades. Maybe it’s never been challenged before. Arthur Schopenhauer’s observation is overused, but I think it applies here because my simple tweet, by itself, is not going to overcome the long-held assumption. All truth passes through three stages. Second, it is violently opposed. Third, it is accepted as being self-evident. The rest of this book explains the rationale for my thesis. It’s possible that for some people, the idea alone will suffice. They’ll think back on what they know of Church history and realize that the two-sets-of-plates theory explains a lot of things. It makes sense of the Title Page and D&C 9 and 10. If you already get it, you’re done. But if you’re like me, you want to explore the facts and the reasoning. So here goes. I hope you get as much out of this new paradigm as I have! The earliest version of Letter VII available today is in the July 1835 Messenger and Advocate, published in Kirtland. You can see it by clicking here. Go to issue 10, JULY 1835, and scroll to Letter VII. The valley west of Cumorah, looking east at Moroni's statue (above the l in battles). I think we should have a "This is the Place" monument there to match the one in Salt Lake. I like the way Daft Punk wear robot suits in public. I'd rather focus on the music than the personalities. Same with Internet discussions; I'd rather focus on the information and the logic of the arguments than the personalities. That said, people want to know I'm a real person, so here's a photo of me at the UN in New York. The author writes this blog in a private capacity which is unrepresentative of anyone or any organization except for his own personal views. Nothing written by the author should ever be conflated with the editorial views or official positions of any other person or institution.